There is much debate over the purpose of the wagging tail. There is evidence in some groups of birds that this helps to flush out insects. Others have argued that it deters potential predators by indicating that the bird is constantly alert. There may also be a social element to the wagging, to stay in touch with other wagtails in the area. Maybe they are just happy in the same way dogs wag their tails. Whatever the reason, it is a quaint and endearing trait that means they are one of the more familiar garden birds. 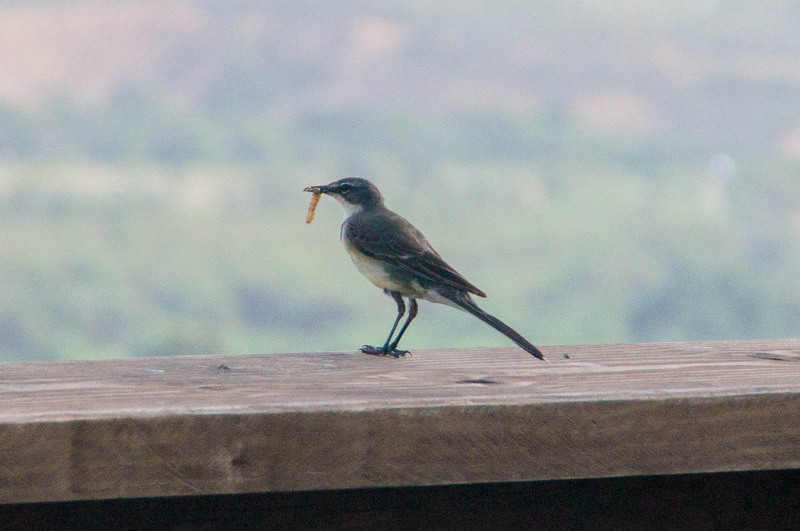 The Cape Wagtail builds a very simple nest of grass and twigs. 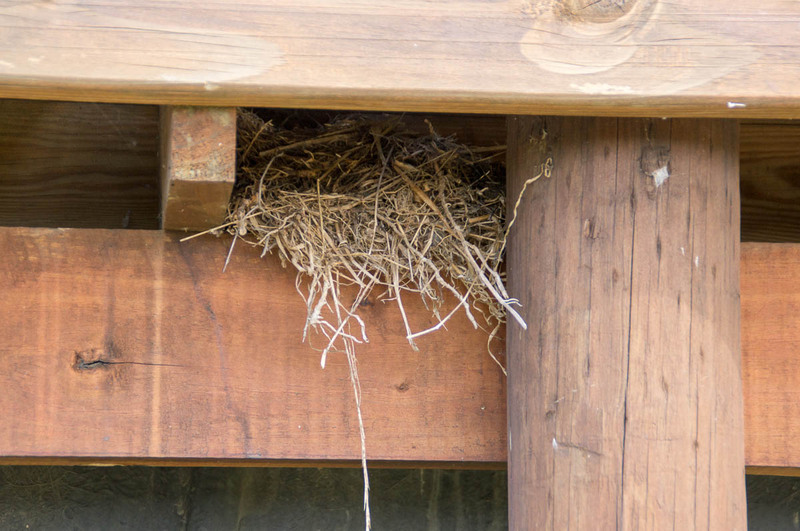 At our house they have built it underneath the decking and although cautious not to enter the nest when being watched, they seem unperturbed by the regular footsteps overhead. 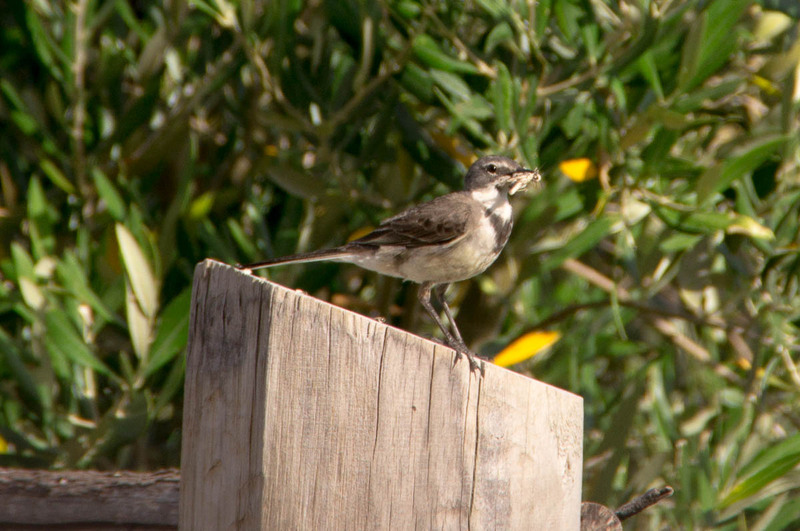 Cape Wagtails are insectivores. We often see them bringing grasshoppers and caterpillars to the nest. A good source of food is evidently found at the base of car windscreens. They enjoy walking up and down the car bonnet picking out the freshly deceased insects that have hit the windscreen and fallen down into the grill area at the bottom. 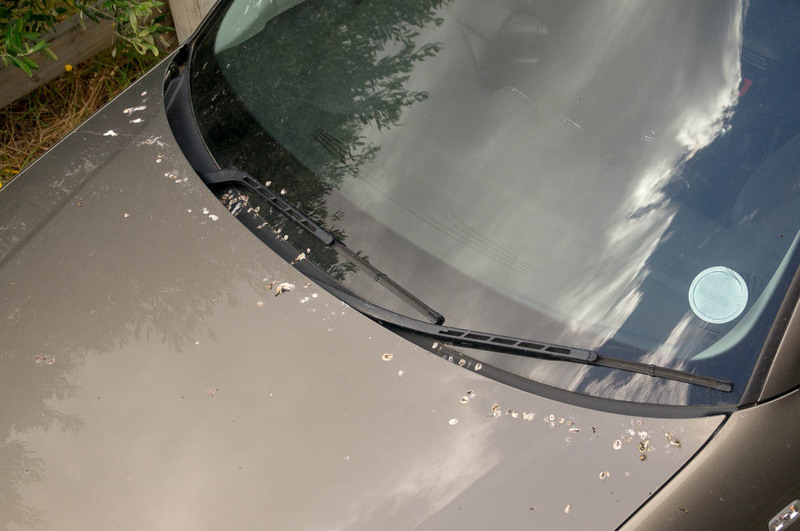 While appearing to be a useful cleaning up operation, it is less desirable than it sounds for they have a tendency to do their droppings along the line of the bonnet at the same time. We would however prefer to wash our car more often than deter these friendly birds from visiting. bird, insectivore, nest, wagtail. Bookmark.